The E36 BMW M3 is a fantastic and attainable enthusiast’s car. Good performance, looks, and according to this owner a factory-claimed official top speed of 155.3 mph. How close do you think it can get to that after 20 years and 130,000 miles? We salivate over the specs automakers slap on our vehicles. Curb weight, top speed, horsepower. 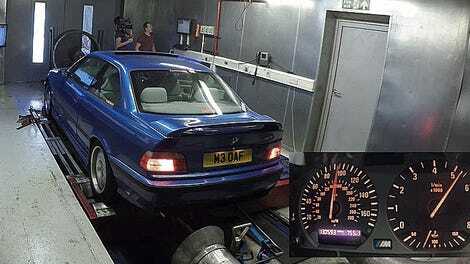 But those numbers that “define” a car are rarely tested by real drivers. So when somebody takes a 20-year-old BMW M3 with more than 130,000 miles to its absolute limit on the Autobahn, don’t deny your curiosity. A few months ago we found out exactly how much horsepower this particular UK-spec nice-looking mid-90's BMW M3 was still making. Not surprisingly, the number was significantly less than what BMW printed on the brochure. The M3 was a little weak especially at high RPMs, which I would have thought would throw an anchor on the car’s top speed for sure. All the owner, Alex of CarThrottle, seems to have done since the dyno run is an oil change, fresh fuel filter, and new rear dampers. 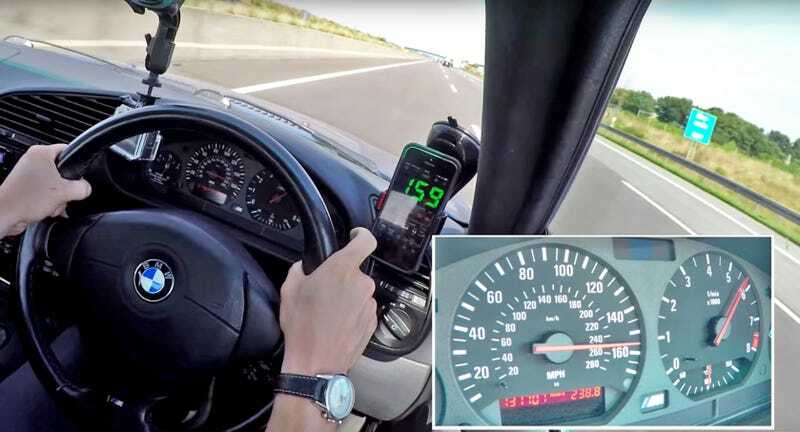 Some 300 miles from Alex’s garage on an unrestricted section of Germany’s Autobahn, the car hit a phone-GPS confirmed 159 mph in a third top-speed attempt. That’s over 4 mph faster than his factory-claimed figure of 155.3 mph. So the next question is, how? The phone’s GPS could be optimistic, but I’m inclined to trust it. Maybe the car was underrated, had some modification the current owner isn’t aware of (weren’t these electronically limited to 155?) or the road conditions were more favorable than whatever situation BMW used to benchmark the car 20 years ago. At any rate, the speed is impressive, especially for a car so shy on its originally advertised horsepower. Keep up with those oil changes and of course, only test your “top speed” some place where it’s legal and safe to do so.